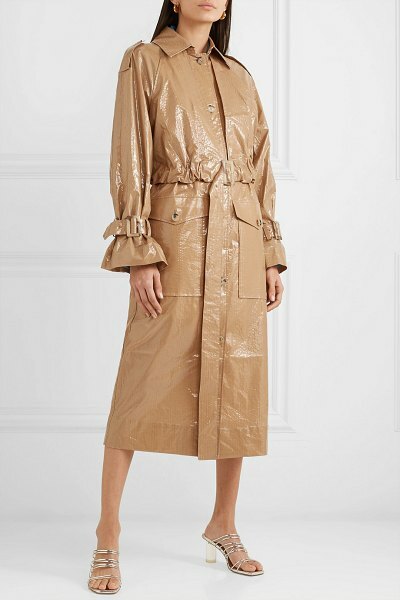 Rejina Pyo says her Spring '19 show captures the carefree way she dressed in her teenage years, when she'd throw on whatever she had in her wardrobe without thinking about trends. 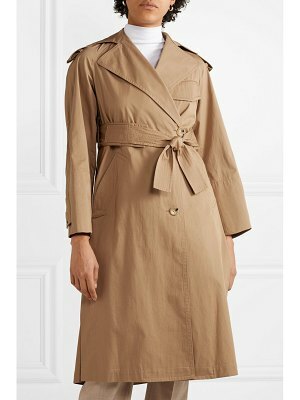 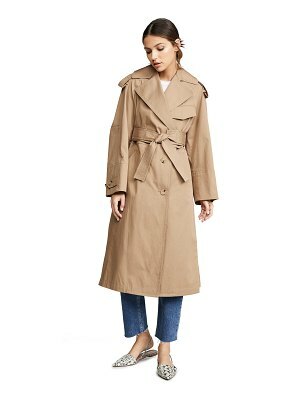 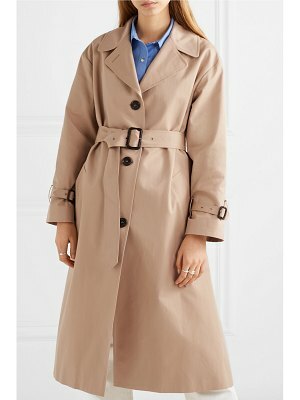 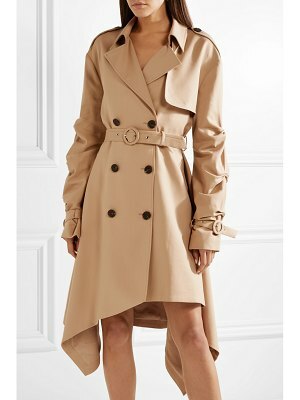 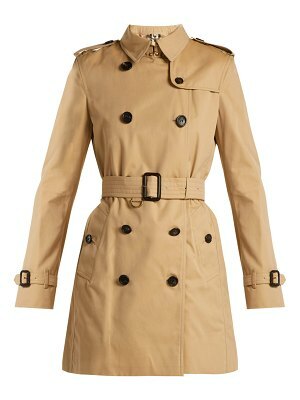 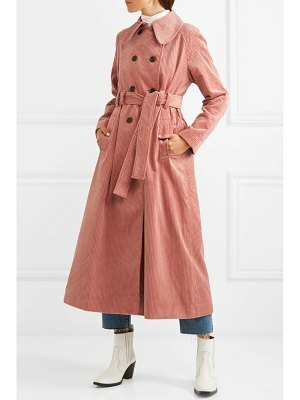 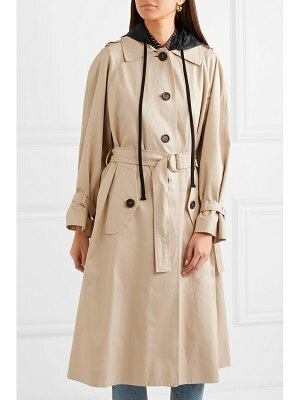 Worn on the runway with a bra top and striped shorts, this trench coat is made from glossy coated-cotton for a relaxed fit but cinches at the waist with a ruched belt. 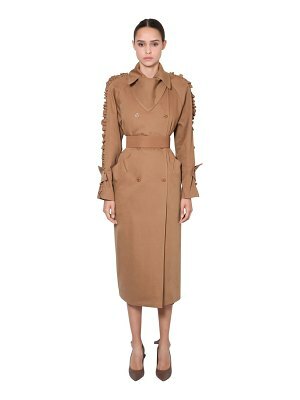 It has all the classic details, including utilitarian pockets, epaulettes and storm flaps, as well as a few modern ones like the horn buttons tracing the back.